Computer Buying Project! Worth 20% of you grade. machines were developed that were like a computer. In the second generation of computers, transistors replaced vacuum tubes. integrated circuits or ICs in computers. characterized by more and more transistors being contained on a silicon chip. engineers, scientists, and special-effects creators for sophisticated purposes. Their capabilities are suited to a business, school, or laboratory. even thousands, of users simultaneously. CPU: The control unit and the arithmetic/logic unit. 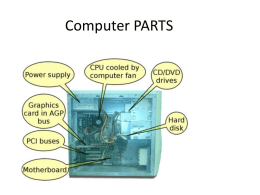 rest of the computer's components. Three processor architectures are adapted in chip design: CISC, RISC, MPP. processors that support fewer instructions than do CISC chips. A computer keyboard includes keys for letters, digits, and special symbols. whose function is very alike that of typewriter. be part of the numeric keypad. Functional keys are labeled with F and a number. across a flat surface to direct a pointer on a display screen. a display screen, and then pressed, to activate various functions. Display screens allow the touch a finger to activate a function. Optical scanners use visible light to read characters, numbers, or patterns. An optical mark reader (OMR) senses marks on special paper forms. electronically sent from one location to another. less, and consume less power. displayed on them are not always as good as CRT images. You may view flat-panel images unclearly from an angle. Print quality and speed are two factors for valuating a printer. once the most popular type of printer used with PCs. copy at a rate of 3000 lines per minute. mechanism does not touch the paper. form "near- letter-quality" images on the paper. technology, produce an entire output page at one time. Many simpler printers also can produce graphics. high-quality graphics in various colors. Magnetic media includes tapes, diskettes, and hard disks. of data for large computer systems. Hard disks are most important online storage medium. manufacture and cannot be written on or erased by the user. drives to write data, only once, onto a specially manufactured disk. size from giant mainframes to small personal computer. 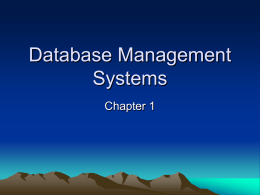 provides resource management services of many kinds. soon after you boot the computer . usually tests RAM, the keyboard, and the disk drives. dealing with data input and output of peripheral devices. which user find very inconvenient. two or more programs simultaneously. 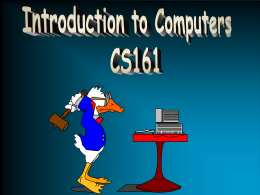 Early computing systems had no operating system. originally developed for the minicomputer market. freeware by Linus Torvalds and a team of programmer over the Internet. storage capacities increase, and the physical size of processors and memories decreases. integration) moving to ULSI (ultra large-scale integration) over the next decade. (3) Multiprocessing will become much more common. (5) Hardware architecture of the future will distribute control into localized processors. systems are being designed to execute concurrent programs more efficiently. programs with great speed because of the very high degree of concurrence. importance of the views of virtual machines. easily remembered words instead of numbers. need for programmers to understand the internal details of computer. functions or combination of functions. (4) running execution file and debugging. 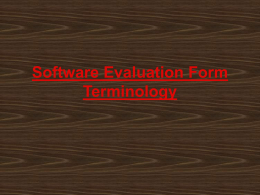 Statements, or instructions, are used to provide functional structure to the program. order in which they appear. instructions based on the values of data being processed. library routines, system routines, and device drivers. organized around "objects" rather than "actions" and data rather than logic. 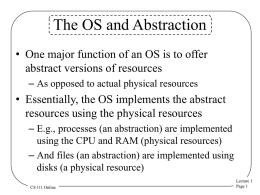 OOP combines data and instructions for processing that data into a selfsufficient "object". One of the first object-oriented computer languages was called Smalltalk. C++ and Java are the most popular object-oriented languages today. diagrams and icons and by interacting with flowcharts. program by a particular data structure. functions and to make the actual function call to and return a function. from which it is easy to find particular desired entries. the highest key is selected from among those records remaining. must proceed a single step at a time, slowly bubbling to the top. reception, and validation of data. languages, cabling and locations to share resources. processing, or a combination of the three. The four basic topologies are star, ring, bus, and hierarchical network. Different topology varies in costs and network performance. which are not connected to each other. and communicated with one another. the most important level in terms of control. software components in a communications network. (5) acknowledging receipt of transmitted data. The best-known protocol is probably TCP/IP. Protocol and Internet Protocol, respectively. capability of data communications in a smaller setting. microcomputer user might not be able to afford. structures are client/server and peer-to-peer (p2p). 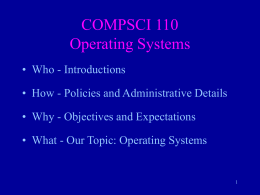 which the systems analyst plans what information system will be developed. evolving needs of an organization. problem, distinguishing it from its symptoms. should prepare written documentation of the results. similar to those found in the current systems. (1) Layouts of all screens, reports, and forms. (2) Organization of all records, files, and databases. (3) Descriptions of all programs. (4) Descriptions of all manual procedures. (5) Specifications for all hardware. (6) Descriptions of all personnel. of the new system at a time. to be modified, which is the process of system maintenance. Maintenance is required for three reasons. often appear after the system has been in use for a while. ＊ The second reason is that a new function is to be added to the system. For example, the preparation of a new report may be needed. ＊ The final reason for system maintenance is that requirements change. how data moves through an information system. 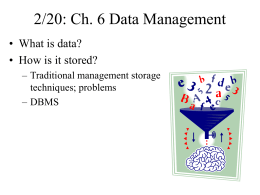 in each set of stored data in the DFD. status of their orders, invoices, and account. takes to use traditional programming languages. application code from such details. used to avoid data integrity errors. "relations"), which are roughly equivalent to a collection of record types. subordinate records can be linked to more than one parent record. equal, and range not equal. the database reside on physically separate computers. that fulfills those requests across a network. meaning and discover new knowledge. under contract to the Advance Research Projects Agency of the U.S.
could be maintained in the event of nuclear attack. lists to keep people interested in common subjects in communication. between your computer and your ISP. always-on, Internet access technology that runs over standard phone lines. 4.A modem that corresponds to your Internet connection type. TCP/IP provides a standard for Internet data communication. and from the machine over Internet. corresponds to a unique IP address. much time worrying about how the message actually gets delivered. The World Wide Web is a global hypertext system implemented on the Internet. suite used on the Internet. 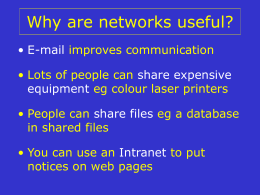 Usenet is a discussion system accessible through the Internet. and spreads to other files. mouse/keyboard), removing files from your hard disk and formatting your hard disk. function while actually doing something else. available system memory or disk space. ＊ Use antivirus software on every computing device you own. ＊ Keep software patches and operating system service packs up to date. software errors, and electromechanical problems. system downtime, but they can wreck the entire system. telecommunications to accomplish an illegal act. Data backup are necessary for minimizing the risk of data loss. phrase that describes a wide range of activities. transportation of goods and services moves electronically". shipping notices and other business documentation. system is needed to provide efficient and effective access to this data. and electronic money), credit card payments and electronic checks. The payment server handles and stores payment information. gateways validate the authenticity of the parties to each other. Payment gateways represent the financial institution on the Internet. methods that are biologically observable. " understand human language, whether in spoken or written form. data to input questions or problems in such a way as to generate conclusions. own goals and acts, has been the Holy Grail of AI. acting upon that environment through effectors. across multiple machines can provide a real benefit. computing is considered whatever the cost or performance. performance taking advantage instead of free or cheap simulations. limitations of single computing systems.